Chelsee became a peer mentor, so she could smooth the transition for other students like herself. “My freshman year I avoided Welcome Week,” she said with a smile. “Now I love it!” She also decided to join the Theta Phi Alpha sorority, where she has made good friends. As a single mother, she worried she would not have enough in common with other students, but she’s been pleasantly surprised. “The MAC office helped me connect and reach out,” she explained. 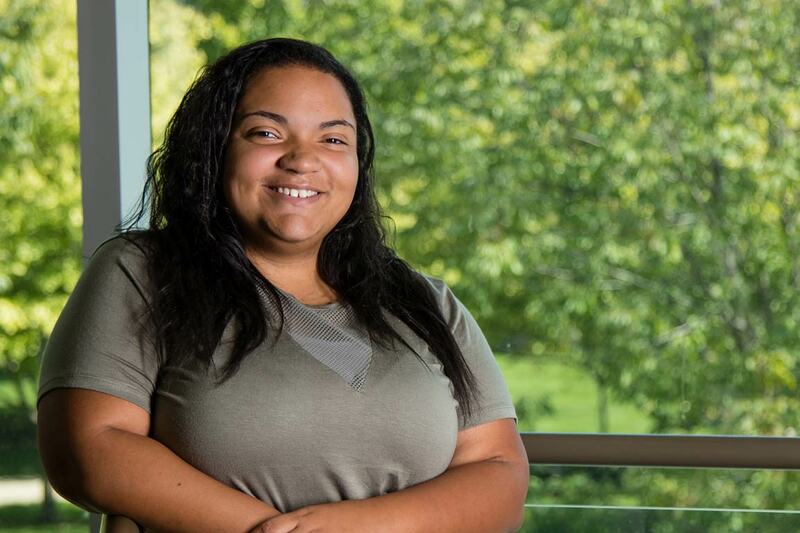 Grateful for the opportunities she had at IU South Bend, Chelsee is looking forward to her future career as a math teacher. “I hope someday I can make a difference and inspire my students to love math, too,” she said.